You can make an appointment any day of the week. Phone calls are not always accepted if we are with another customer or out of the shop. Phone calls are not always accepted outside the hours of 10am-7pm. but you can reach us by texting. The best way to contact us is to text 210-535-7673 or email jane@sewweddingdress.com. If you would like to book an appointment and have no further questions, you can book an appointment online here: https://www.sewweddingdress.com or Text 210-535-7673. Email confirmation will send to you after you have successfully booked online with us. We only take customers in the shop on Monday to Saturday. Appointments are made on a first-come basis, however we will try to work our best to accommodate rush orders. You are required to come with your parent if under 18 years of age. If over 18 you are responsible for decisions made at your fitting. Normally, the wedding dress alterations process takes about 4-6 weeks. Certain items such as custom dresses or reconstruction of a dress may take longer. Rush fee might be charged if you want to complete within 4 weeks. For booking more than 2 months before your wedding date, if it’s possible. In the event you are going to be late please contact us immediately. If you are more than 20 minutes behind, we may not be able to accommodate you depending on the other bookings within that day. We may not be ready to accept you if you are early for you appointment, but you are welcome to take a seat or read a magazine while you wait for your fitting. You may bring guests to your appointment. We recommend bringing 3 or less guests to ensure that all of your concerns able to be heard and understood during your appointment. Appointments run more smoothly with fewer guests, but you are welcome to choose what you are most comfortable with. There is no penalty for cancellations or rescheduling your appointment! If you need to reschedule an existing consultation or fitting, your confirmation email will have a link that can be used for this purpose. You are also free to call in or email and ask for a different day or time as well. Keep in mind there may be no availability for a few weeks if you cancel or look to reschedule. 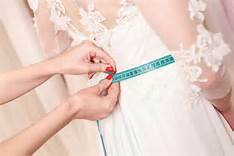 A bride receiving basic alterations is allotted 2-3 appointments. Most brides pick up their dress at their second appointment, and occasionally needed tweaks require a third fitting for pickup. 1) you are active in a school sport or exercise routine 2) wear different under garment 3) wear different shoes 4) become pregnant 5) get sick(flu). If you feel any of these will affect you please let me know at your fitting so we can schedule a 2nd fitting if necessary before alterations are finished. If any of these factors are assumed I will make adjustments to your dress to fit & you will be charged for the extra work. Weight and size fluctuation that causes alterations to be redone are subject to a charge of up to 70% the original price of that alteration and/or any additional fitting charges. Work asked to be done against recommendation, that needs to be undone is subject to further charged up to 70% the original price of that alteration and/or any additional fitting charges. You do not need to bring the exact shoes that you will be wearing with your gown, however we do recommend bringing a pair of the height that you plan to wear. This is in order to fit your perfect hem length without excess fittings or extra work/charges . Not knowing the height of your shoes, and thus causing an additional appointment, may result in an added appointment fee. Changing your shoes may also require a hem to be redone, which is charged up to 70% the original hem and any/or additional fitting charges. Bra cups can be added to your dress. If you plan on wearing special or specific under undergarment that affect the fit of your dress, please bring them with you to your fittings. I guarantee my work to make adjustments where needed. However, if you do not try it on, once it is paid for and goes out the door no further adjustments will be made. It is your responsibility to make time to try on your dress. Because of limited space within our shop, we ask that you take your dress when alterations are complete. If for some reason, you are unable to take your gown within 30 days from your pickup date, we do offer storage for a fee of $2 per day. -If not picked up within 60 days from your pickup date, I have the right to donate your items to a local charity. We value transparency in the services we provide. Ask, and a quote can be provided for alterations upon request. Please email us a few pictures, preferably of you in your dress and we will respond with a price quote as soon as possible. Please keep in mind that prices can vary when you come in for your first appointment. Some things such as dress layers and other details are not easily visible in a picture which is what would cause discrepancy between your estimate and the actual price of work. Our goal is to make sure you are completely satisfied with our service. We will hear any complaints and handle them accordingly. It is our goal to cultivate a comfortable environment and provide services that meet and extend past expectations. We encourage brides to speak their minds if they do not feel comfortable in their dress, so that there is a consistent dialogue of needs and expectations, to ensure that we do the best job we can. 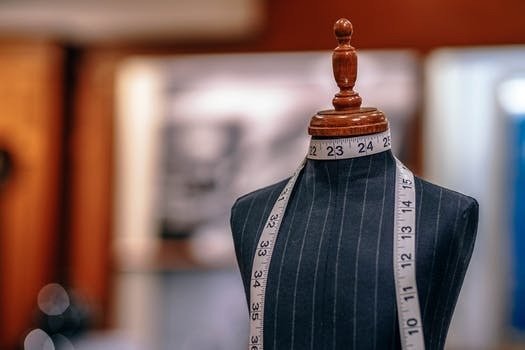 Keep in mind that the service of alterations is time-oriented and consists of mindful, delicate labor so every dress that comes in is handled with much pride and care. I work very hard to provide you with the best possible service in a timely manner. Thank you for understanding!